So, Valentine’s is next week, but instead of giving into the corporate created holiday, I’m going to ignore it. As it is a new month, we’ve got a few killer beers on sale for the entire month. Like, seriously, these beers aren’t ones that typically go on sale, and they’re worth spending the full price. Tack off a dollar or two and they become all that much more appealing to both the palate and the wallet. So, instead of spending all your money one some overly expensive dinner, chocolate, card, wine, limo, flowers, or whatever else you were thinking of doing. 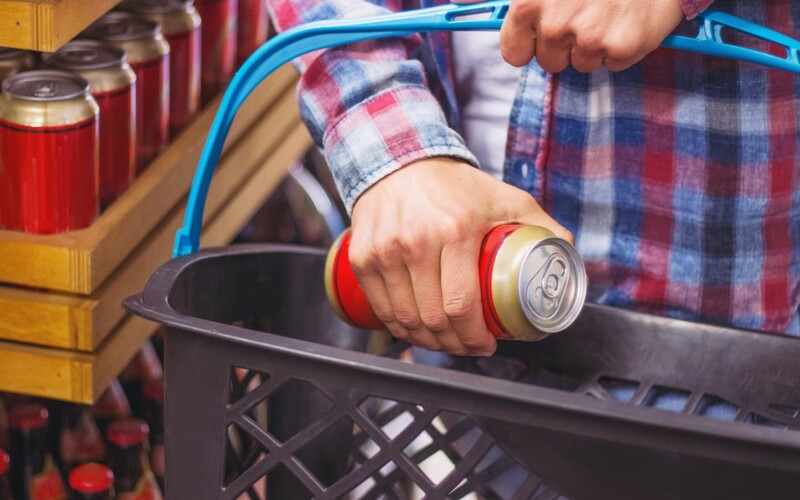 Take that hard-earned money and buy some beer. You’ll spend less money and, in the end, be happier drinking these beers over the next week or so. I’m sure your special someone will understand. Brewed with Mexican Orange Blossom Honey, this Imperial Lager from Indeed is packed with aromas of sweet honey, cracker malts, and notes of floral hops. The flavor is nicely sweet with a less pronounced flavor of honey, with great notes of malt, cracker, and floral hop characteristics. There is also a slight spice note that, combined with everything else, easily hides any remanence of 8% ABV. It goes down smooth and I’ll take another real quick. I don’t know about you, but it’s pretty much the weekend and I’ve been feeling these weekend vibes since Monday morning. Luckily, Coronado is here to help keep those vibes buzzing. Robust aromas of tangerine, grapefruit, orange, mary jane, and a fair amount of bready malts definitely get those vibe juices going. On the palate, citrus and a floral, leafy tea-like spice land on the tongue first. That’s followed by a touch of hop resin and tangerine sweetness which keeps it nice and balanced. The alcohol is reasonably well-hidden, but it finishes with a great spicy bite. Now, this is a beer I can drink time after time with little to no fatigue. 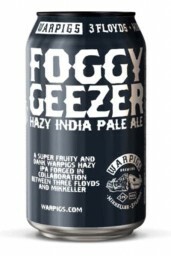 WarPigs, a venture between Mikkeller in Denmark and 3 Floyds in Illinois, created an incredibly easy drinking hazy IPA. This juicy IPA has a load of resin aromas mixed in the juicy citrus notes of apricot, orange, peach, and other citrus notes. As it warms, a slight touch of pine and malt come and really balance it out. Not as hazy as some of the other prominent hazy IPAs out there, but definitely one of the best tasting and balanced ones.